As one of the most popular instant messaging apps, Line allows users to chat with friends and family members including the ability to make free international voice calls. You can also attach videos, photos and other types of data to the messages you send and receive. This means that Line messages can contain a lot of important data and it is therefore not prudent to lose them. But losing the messages can happen for a number of reasons and when it does, you need to be able to recover them as quickly as possible and in the best condition you can. 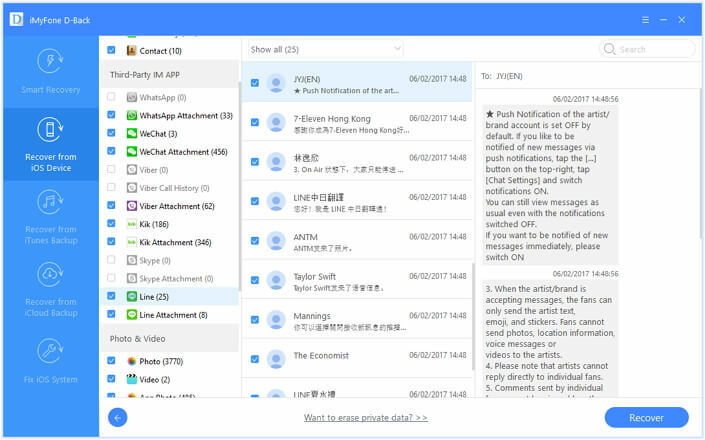 In this article, we are going to introduce you to the best tool to help you recover deleted Line messages on your iPhone. 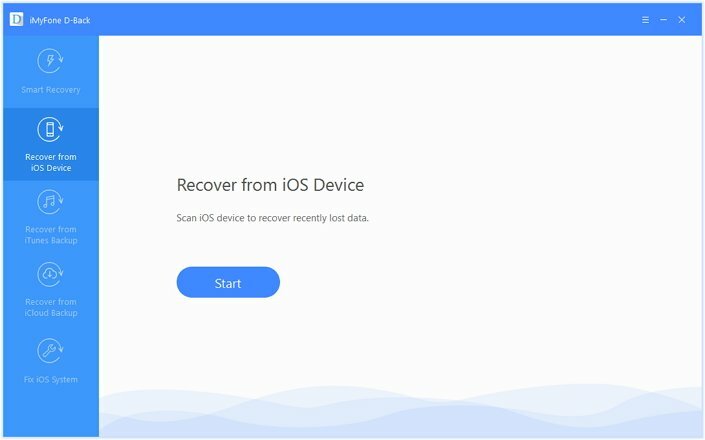 The only tool that guarantees you will recover the missing data on your iPhone in the shortest time possible is iMyFone D-Back iPhone Data Recovery for Win or iMyFone D-Back iPhone Data Recovery for Mac. This is because it is fast and reliable. The lost line messages will be recovered in pristine condition and in just a few minutes. The following are just some of the features that make iMyFone D-Back the best tool for the job. 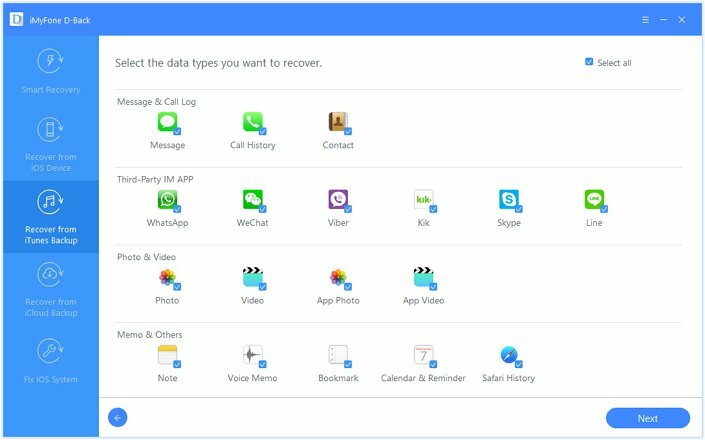 It can recover up to 22 different types of files including photos, videos, contacts, third-party app iOS data such as WhatsApp, Kik, Line, WeChat, Viber and more. 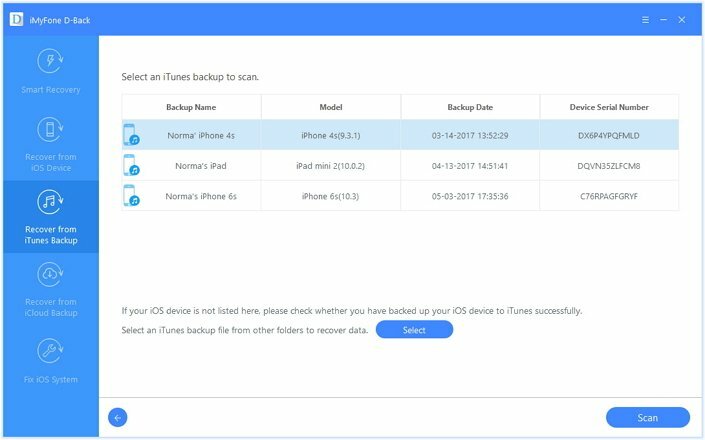 You can recover data in three different ways: directly from the iPhone (iOS 11 supported), from an iTunes backup file or an iCloud backup file. It comes with a preview function that allows you to selectively recover data. It is very easy to use and safe. Your iPhone or any of the data on it will not be at risk of damage. If you hadn’t backed up the missing Line Messages, you can still recover them using iMyFone D-Back. Just follow these simple steps to do it. Step 2: Connect the iPhone to the computer using USB cables and then click “Scan”. Step 3: Once the scanning process is complete, select the missing line messages from the results page and then click “Recover” to save them. 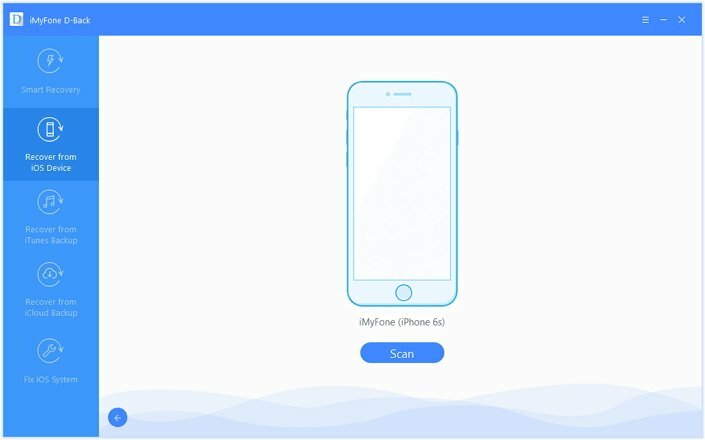 If you have a backup of your iPhone either on iCloud or iTunes, iMyFone D-Back can also help you retrieve the missing data from the backup file. Follow these simple steps to recover the missing line messages from an iTunes backup file. Step 1: From the main window, select “Recover from iTunes Backup” and then click “Start.” In the next window, select the file type you want to recover, in this case the Line Messages which will be under “Third-Party IM App” and then click “Next” to continue. Step 2: the program will then display all the iTunes backup files on that computer. Select the most relevant and then click “Scan”. Step 3: The results will appear on the next page. Select the Line messages you would like to recover and then click “Recover” to save them. 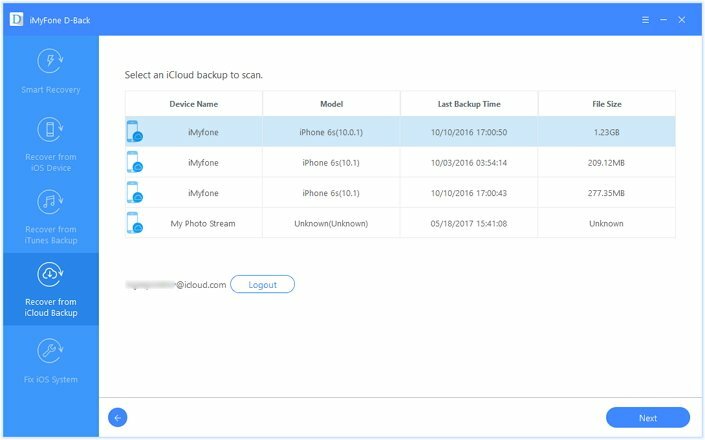 If you would rather recover the Line Messages from an iCloud Backup, follow these simple steps to do it. Step 3: The program will scan the iCloud backup for the missing Line messages and display the results in the next window. Select the ones you want to recover and then click “Recover” to save them. 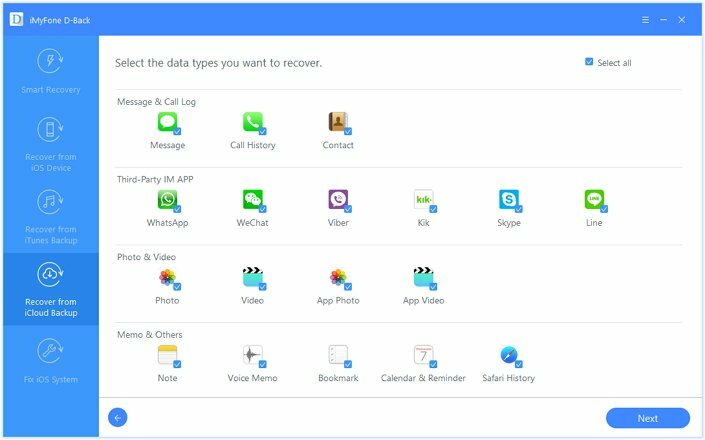 Download iMyFone D-Back for Windows or iMyFone D-Back for Mac now to check whether your deleted Line messages can be recovered or not. Please be assured that all iOS versions including iOS 11 are supported.